E3 2018 feels like an eternity ago, as does Electronic Arts' own EA Play event. Among the items teased during EA's press conference was new updates for Star Wars Battlefront II and one of those promised updates looks to be coming in the month of October. On Tuesday, the folks at DICE updated their community calendar for Battlefront II. In addition to numerous events, like a special Halloween Event and Fast Spawn event, DICE has also confirmed that General Grievous will come to the game as a playable Hero character. 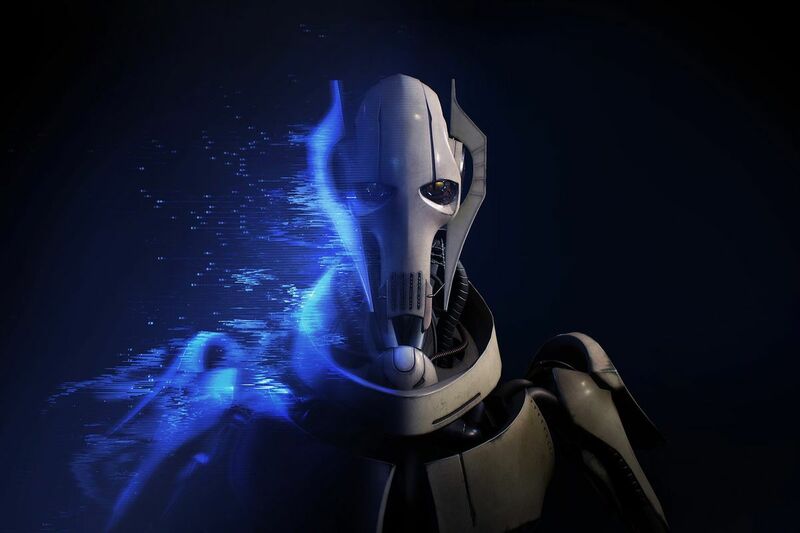 General Grievous is a continuation of Battlefront II's continued focus on the Clone Wars and the Star Wars prequel trilogy. July saw the debut of a new Starfighter mode, while September saw some revamps to the game's Squad System. DICE appears to be following their roadmap, which will see Obi-Wan Kenobi and the Geonosis map debut in November, while Count Dooku and Anakin Skywalker join the playable Hero cast later in the Winter. Look for more information on General Grievous to hit in the coming weeks, leading up to the Clone Wars villain's debut later in the month. Hopefully he'll have cough emote. But... the loss of Count Dooku! I'm going to violently disagree and say that the battle music at the end of Ep3 was fantastic. The Clone Wars and other cartoon series redeemed a lot of the prequel characters. Just what the fans were clamoring for: more prequel stuff! - I was expecting someone with your reputation to be older. - And I thought you'd be taller.